It can be tempting to cut corners and skip certain maintenance tasks. After all, your business has plenty of expenses, and are customers really going to notice whether or not you’ve pressure washed your building? The truth is, even if they don’t consciously notice it, customers will pick up on the clean look of a properly washed building exterior. If your building is dingy and has mildew or climbing weeds, your customers might be passing you by no matter how great your signage and landscaping are. A sparkling clean building is the background for all of your other enticing details, and without it, you might really be losing out. Regular pressure washing has benefits beyond aesthetics, too. Cleaning off algae, mildew, and other organic growths can prevent more costly cleaning and repairs down the line. Washing off climbing weeds before they really take hold can prevent them from damaging your walls. And a pressure washing crew can take care of your parking lot and entryway surface, too. You’d be amazing how good a parking lot can look when the gum, oil drops, and dirt are washed away. 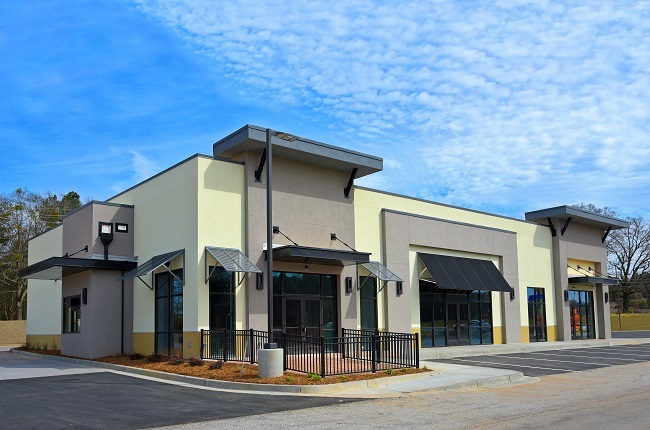 The bottom line is this – make room in your budget to regularly pressure wash your commercial building. It won’t break the bank, and it will definitely increase traffic to your business. Contact 214 Pressure Washing today to learn more about our pressure washing services.